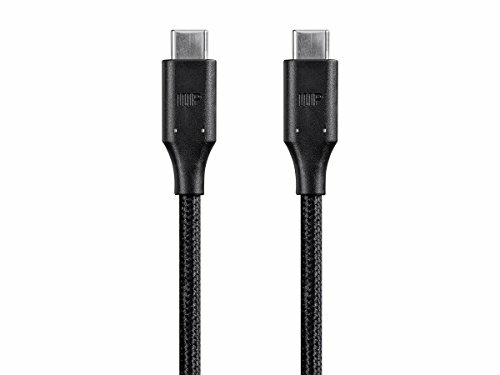 Stay Connected: Featuring a male USB Type-C connector on each end, this USB 3.1 cable is ideal for connecting devices with a Type-C connector to newer laptops and computers with the Type-C connector. Speed: This full-featured USB 3.1 cable supports data transfer rates up to 10Gbps, twice the rate of the USB 3.0 standard. Braided Nylon Jacket: The braided nylon jacket of the Palette Series protects the cable from nicks & cuts & resists tangling, saving you the time and frustration associated with using ordinary cables.